The Expat Partner’s Survival Guide Turns One! Happy birthday to my book – today it turns one 🙂 It is hard to believe it is one year since I sat on a mound of grass while my daughter’s played football and watched the comments, likes, shares and sales on that exciting first day when the book went live exactly one year ago. In April 2015, soon after the book’s launch, I was interviewed on our local BBC radio station about the book and why I had written it. A few days later, I was mentioned in the Mumsnet blogger’s network “dispatches” – a big honour as someone who used to rely on Mumsnet for pretty much everything from advice on which nappies to buy to literally saving my sanity. In June I was very excited to receive an email from one of my favourite expat authors Brigid Keenan, who wrote the brilliant Diplomatic Baggage, telling me that she “loved” my book. I was so happy with her praise that I changed the front cover of the book to get her words on there. After a bit of a pause in activity due to my move to Pretoria, I was featured on the extremely popular (and very funny) podcast show Two Fat Expats. I wasn’t talking about the book (the show was about holidays) but they were kind enough to mention my book on the podcast and accompanying blurb. In October I was interviewed for another podcast show – this one was all about culture shock and it was on the Tandem Nomads site. Another honour in March, I was featured on the Displaced Nation’s list of top non-fiction books for expats. The book was also the subject of a feature in one of Dubai’s largest newspapers The National – apparently a publication that is popular with expats. Right at the start of this month, I featured again on another podcast show – this one called Four Seas One Family on which I discussed such things as depression and male expat partners. And just this week I have been recommended as a book to help stay contented as an expat by the wonderful expat blogger Rachel Pieh Jones. Throughout this time, I was featured on various expat sites (including this one for BlogExpat). I also continued to write my blogs and introduced a number of very popular series – including one on people who live in small places, one on male trailing spouses, and one on expat depression (all still ongoing). Finally, I also continued to write monthly posts for the Expat Focus site. My photo for the Gloucestershire Echo newspaper. Excellent book!! On my now 10th posting as “trailing spouse” I thought it was time to collect all those diary notes and experiences and put them into a guide for other expat families… but I have just read Clara’s book and know it can’t be topped. Bravo! What a pleasure to read and she have covered it all. I felt myself nodding in agreement all the time. What a great guide!! Any review that start’s with the line “Not since Harry Potter have I shut a just-finished book and been inclined to pick it right back up at page 1.” is going to make me very happy! And this one from Emily Stewart at BasedTraveler did just that. Hubert O’Hearn is an expert book reviewer and also wrote a guest post for my blog. In July he wrote this wonderful review for me. One of my favourite expat bloggers Joburg Expat (who was particularly helpful in the run up to our move to South Africa) called my book an “expat bible” in her review. The editor of Knocked Up Abroad, a book about birth and parenting overseas that I contributed a chapter to, was another that said she wished she had had the book before moving abroad for the first time. The Expat Woman’s website said this was a book that immediately made you realise that you were not alone in your journey in their review. Sales have been interesting. The first month was, naturally, the best – as those who had been waiting to buy the book bought it (including my loyal family and friends! ), and marketing was at a high. The months that followed remained quite high but the summer months saw a bit of a slump. Things picked up again at the end of the year and December saw one of my best months of the year in terms of numbers sold (in particular hard copies – presumably for Christmas gifts). Since then, I have had some slow months and some good ones – March was another excellent month but April so far has been abysmal! On the whole though, sales have remained steady and I am happy with that – I am nearly half way to my “target” (after which all sales will be a bonus as far as I am concerned!) so I can’t really ask for more than that. As far as which format sells best, Kindle does better than the paperback version by about 3:2. This isn’t that suprising as many of those who buy it will be living overseas where it is hard to get things posted to them from Amazon. My largest market is the US but the UK comes a very close second – not that suprising as I am a Brit and there probably is more of a British slant on things than anything else. So that sums up my year. Looking forward, it is hard to know what will happen next with sales. I still look for some great ideas for marketing and continue to search out new markets for the book. But if you have read it, have liked it and think it would help others please do two things for me: tell people about it (in person, on social media, carrier pigeon – I don’t mind!) and write a review on Amazon. Thank you to everyone who has already done so and here’s to Year Two! To read the full review please visit the Knocked Up Abroad site. And in the meantime to read my review of Knocked Up Abroad please go here. . The last few mad weeks – a round-up! First of all there was the post about Quirky South Africa that was widely shared and widely commented on. I only put nine things with the hope that someone would suggest a number ten. I got so many ideas (plus I have a few more or my own) that I am currently lining up Some of the Quirky Things I Love about South Africa Part Two. Watch this space! Then I was honoured to be interviewed about family holidays for the fabulous expat podcast Two Fat Expats, by expat extraordinaire Kirsty Rice. I have read Kirsty’s blog for years (as have literally squillions of other expats) so it was great fun finally getting to talk to her over Skype. As many know, Kirsty has recently been diagnosed with breast cancer. But I think most will agree that she is meeting this challenge with huge dignity and using it as a way to share her experience with others in exactly the same way she has used her expat experience to help others in a similar situation. I have also featured not once but TWICE in the Wall Street Journal expat’s section – once talking about trying not to put my foot in it when we lived in Cameroon, and then a week or so later discussing expat nostalgia. 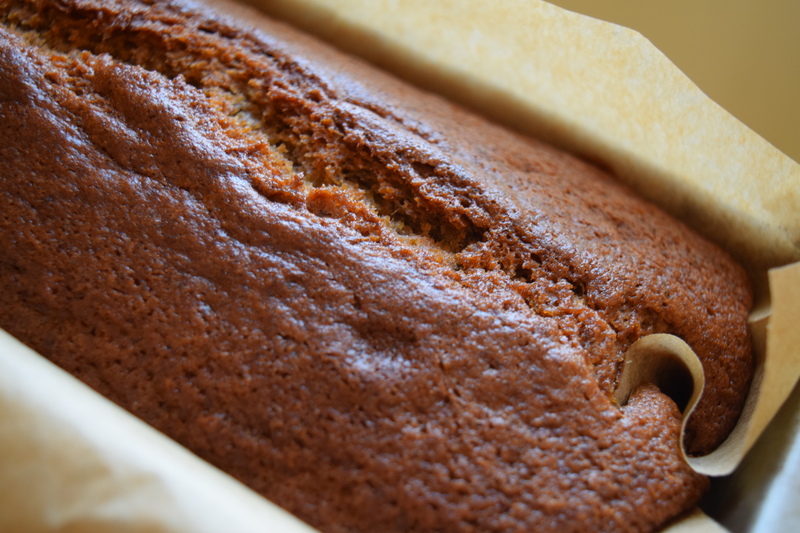 In the latter, the article linked to my post on Jamaican banana bread that I mentioned in the interview – and I now have visions of WSJ readers all over the world enjoying a slice of this delcious bread with their morning coffee! I also recieved a lovely review of the Expat Partner’s Survival Guide on one of my favourite blogs, Joburg expat – which I started reading when we first heard we were moving to South Africa and has been a great source of info for me over the months. I have been writing for the Expat Focus website for a while now (must be coming up for a year as the first post I wrote was about the daunting task of moving to a new country) and my latest column Making the Most of Expat Life – or Spoiling my Future was out at the end of October. I also wrote the last post for a trailing spouse “blog crawl” I have been participating in, a post that turned into a bit of a mega essay tracing my journey here to Pretoria through the various posts I had written for the crawl and titled Making a New Home Abroad – My Journey Back to Trailing-Spouse Land. Another of my posts went semi-viral (by that I mean it went MEGA viral by my standards but probably not so much by the standards of those posts you read on Buzz-Feed and Huffington Post; it did get shared and read quite a lot though and thus I conclude it hit some sort of nerve with people) – What Do You Wish You Had Known Before Becoming an Expat. And finally I started a new series, one I am really excited about as I think it is a topic that needs more acknowledgement – the male trailing spouse series. My first post in this series featured Eric in Nairobi, who contacted me after reading my book. Again, the post was widely shared and viewed and I sincerely hope it has helped others in the same situation as Eric. I am on the lookout for more men expat partners willing to be featured to please let me know if you are one or know one! So that’s it for now – a quick round-up of a busy few weeks. I need to get my head down and start work on another important project which is some posts I want to write about expats and depression. In the meantime please let me know if you have any questions about being an expat partner or if there are any subjects you would like to see covered – either in the comments below or by emailing me clara@expatpartnersurvival.com. 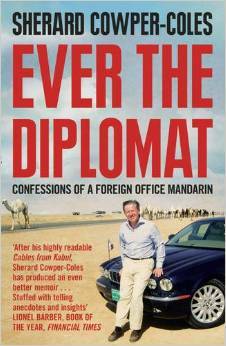 Ever the Diplomat, former British envoy Sherard Cowper-Coles’ account of his years rising through the slippery ranks of the Foreign Office, fascinated, frustrated and infuriated me in equal measures. First of all, I should state that although I didn’t know Sherard personally, I did work in the FCO at the same time as him and our paths would have crossed occasionally (I was in the press office when he was in Private Office as Robin Cook’s Private Secretary). He was obviously a figure who loomed large in the office at the time, but I was a relatively junior diplomat so he wouldn’t have had a clue who I was. However, his book is peppered with references to people who I knew or knew of – starting with his early years when a couple of the fathers of my classmates at boarding school in the UK are namechecked; later on are mentions of people my own father worked with; and finally people I knew personally from my time in the office. From a personal viewpoint, this certainly helped make the book an entertaining read. However, I am not sure how this translates for people who aren’t diplomats, former-diplomats or the children of diplomats. Is there just too much in-house information to make it interesting? Hopefully not, although you may need to have a rudimentary knowledge of British foreign affairs to truely enjoy much of the book. But in many other ways I think it’s a really good portrayal of what life is like in the upper rankings of the Foreign Office. It didn’t much resemble what I experienced, but that doesn’t mean it isn’t true. Sherard’s career was certainly a glittering one: Cairo (he was one of the famous Arabists of the office, otherwise known as the “camel corps”), Paris, Washington. Plum jobs in the UK. Later, ambassadorships in Israel and Saudi Arabia – apparently, the pinnacle of a career for an Arabist. He ended up as the UK’s special representative to Afghanistan and Pakistan, which is where it all seemed to go wrong for him. Whether because he wasn’t going to get the job at the end of his career he felt he deserved (there are only three or four really top jobs in the FCO and usually quite a few very senior diplomats vying for them) or for personal reasons (he split up from his wife during his time in Kabul, more of which below), he apparently took “extended leave” at the end of his posting and never returned…. Anyway, apart from that, Ever the Diplomat is certainly a well-written and largely entertaining book. Sherard is undoubtedly a very intelligent man and just the sort of person who would do well in the Foreign Office: he had the right background, he was the right gender, he went to the right university. The fact that he barely mentions women in the office until right at the end of the book (as if someone had read it and pointed out he really should mention that women do work in the office too) tells me a lot about him, and resonates with the sort of people I came across while working there. At one point he uses the term “the Private Office girls” to describe some of his female coworkers (see page 207). As for his poor wife, Bridget, she gets barely more of a mention than his female colleagues. As many of us know, following (accompanying – you chose the terminology!) your partner to another country is no easy task. Upping sticks and doing it every two to four years, as the Cowper-Coles family did, can be downright distressful. Especially when you have five children. And yet, rarely does he talk about his wife positively, never does he discuss her immense role in his success. He may have wanted to leave family life out of his book as he believed he was writing about foreign policy and his career rather than anything personal. But for me, FCO life and family life go hand-in-hand. Personally, by ignoring his wife and what life was like for her and his children, I think he missed a huge trick. He might have left her out because of their subsequent divorce – or perhaps it was the other way round? I also feel that whilst the account of his career gives us an excellent insight into the workings of the top echelons of the offce, it does rather ignore much of the rest of it: visa work, consular work, trade and investment, management…There is an awful lot more to the work of the FCO and our embassies and high commissions abroad than just the political side of things that Sherard shows us. Best for: anyone who wants to understand more about the role of embassies and foreign ministries beyond visa renewal and consular assistance. People who are interested in foreign affairs and recent politics. Not for: Sherard’s wife; anyone who wants to know more about what life is like for the trailing spouse of a diplomatic high-flyer (for that I recommend Brigid Keenan’s Diplomatic Baggage). It’s all about perspective….and more news. Having been away for a couple of weeks, and then spent the last week trying desperately to catch up on everything (as well as continue preparations for our move – we let the house yesterday, yay! One more thing off the list…), quite a lot has been going on while I wasn’t looking. There are victims of violent crime in South Africa, lots of them. Life is very, very tough for a lot of people living in its townships and downtown areas. But we will never have to live in these areas and we will always have proper protection, wherever we live. And if anything is going to put things into perspective, that is it. I was also extremely flattered to be featured on the blog of one of the lovely contributors to my book, Farrah from The Three Under. Farah, who is originally from the States but now lives in the Netherlands, has three boys (twins plus a singleton) and blogs about family life and travels as an expat. 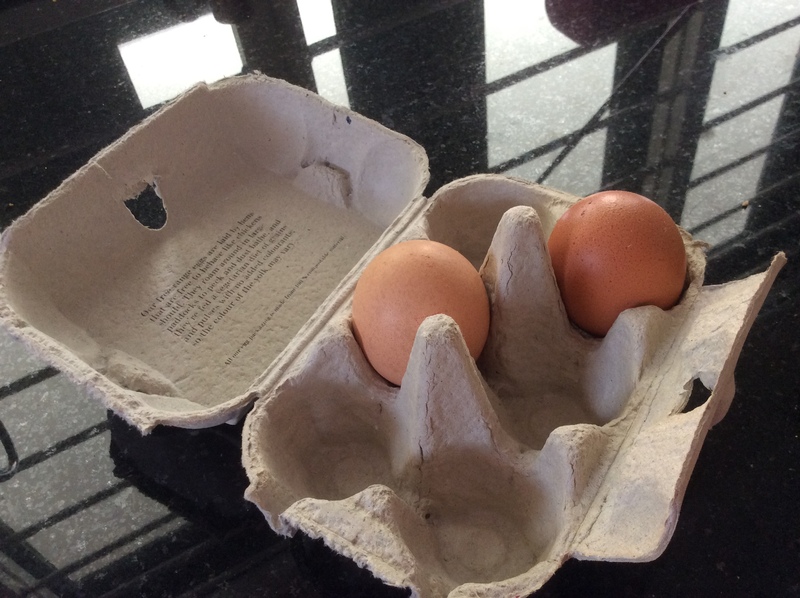 On her blog she features the Expat Partner’s Survival Guide on her April and May Reading Recap for Expats, and kindly calls it a “wealth of information”. You can read her post here. And if you have found your way here to this post because you are the one embarking on this road of expatriation as the “trailing spouse” or “expat partner” – I can’t recommend highly enough reading The Expat Partner’s Survival Guide by Clara Wiggins. I wish I had found this book sooner, I’ll tell you that. The Expat Partner’s Survival Guide, by Clara Wiggins. January was dark and lonely here and this book would have made it a little less so knowing that countless families had picked up done and experienced exactly what I was feeling. What we all were feeling. Thank you Erin, that really made my day 🙂 You can read the full post’s at Oregon Girl Around the World’s blog here. I think that’s it for now, although I have probably forgotten something or someone! Thanks for reading this far (if you have!) and have a deliciously delightful weekend folks. See you on the other side! If you’re an expat, or you’re planning an overseas move, and you haven’t already discovered this website then you’re missing a trick. Originally created by a group of US Foreign Service spouses, Tales from a Small Planet is a website containing city/post reports from pretty well every part of the world, from Afghanistan to Zimbabwe, as well as more recently added ‘real’ school reports. The wesbite also includes tales from contributors, but it’s the reports that really makes this site stand out. What are the special advantages of living in this city/country (e.g., touring, culture, saving money, weather, etc.)? Absolutely none. It’s an expensive (US$15/beer), isolated, hot (130F), barren piece of land with polluted air. What have been some of the highlights of your time in this city/country? Good school, unique culture and people; right now it’s a really interesting time to be here since it is developing so quickly. It almost feels like a country caught in two different centuries. My children love it here! Safe, great weather eight months of the year, kid-friendly activities, excellent schools, good housing, and easy living. I have wasted many an hour on this site, clicking through question after question about potential postings. I really like that it’s honest, and that you get so many different opinions. Given that it is a site set up by American State Department spouses, there is a heavy emphasis on Americans (eg most talk about flying times back to the US) and also on Embassy life/morale – but much of the rest of what is covered is relevant to all expats. Are there any special security concerns? Is it a good city for families/single people etc? Would someone with physical disabilities have difficulty living in this city? What is the availabilty and cost of domestic help? How much of the local language do you need for daily living? All in all, you can find the answers to so many of your questions here – although I’m a huge advocate of contacting people living there when you are preparing for your move to get the most up-to-date information possible. The school reports also look really interesting, with a wide range of questions and a section where the contributors grade the school from A-F on various attributes. Questions cover the whole range of issues parents might have, from teacher:student ratio, maintenance of appropriately high standards and home work assigned to after-school activities, library provision and teacher-parent communication. I was very disappointed that there were no entries at all for South Africa, let alone the school we have chosen in Pretoria, but I get the feeling this section of the website is still relatively new so hopefully it will build up as time goes on. Recommended for: anyone planning an overseas move; parents looking for schools; anyone just curious about what life is like as an expat in another country. Travelling with kids. Ugh. It’s one of those things that sometimes you have to just grit your teeth and get on with – especially if you’re an expat and you really don’t have much choice in the matter. After all, you’ve got to get to your destination somehow – and chances are you’re probably going to want to come home again. Although, having had some fairly horrendous experiences with my own children (including this memorable journey when we flew to Pakistan with an unscheduled stopover in Dubai), there were times when I thought it might be better just never to ever fly anywhere ever again. But here comes Keri at Baby Globetrotters to make things easier! Seasoned traveller, as well as seasoned parent, Keri’s site is full of useful information, tips and advice to make taking your little ones around the world just that little bit easier. This was about the point when all three of them are suddenly awake crying for mum, then trolley service starts – one stuck with a crap in his nappy, the baby desperately trying to sleep but having none of it, and you guessed it, headphones are lost. Our rows not being directly next to each other means to placate the situation items are now being lobbed over the heads of the row in between us. I’d say this was the point where our civility went out the window. Yes, if you want to feel better about your measly eight-hour London-Miami flight with your two now-quite-grown-up pre-teens, this is the way to do it! The site isn’t just Keri’s personal travel experiences, though: she also includes lots of general infomation and tips about flying with children and is currently working her way through reviewing thirty of the world’s top airlines for family-friendliness (or not). There are also interviews and articles from and about parents living in various parts of the world, developed “to provide you with an insight into different parenting styles, cultures and traditions across the globe”. A recent edition to Baby Globetrotters is My Expat Family, a joint link-up venture with Seychelles Mama blogger Chantelle. As well as featuring posts from expat bloggers, the #MyExpatFamily link-up now includes weekly twitter chats – the first of which will be on June 1st and will be about “The Move”. So if you’re looking for more information about travelling with children, in particular about long-haul travel with children, or if you want to chat with other expats about their experiences, then have a look at Baby Globetrotters. Recommended for: parents who travel; parents who would like to travel but have been putting it off due to the idea of having to take children on a long-haul flight. Expat parents.